I recently returned from a 10-day trip to Oregon. Three of those days were spent in Portland with a fun and inspiring group of food writers and photographers, the rest were spent between Eugene and Florence, where I spent some time with my ex-husband’s family who I’m grateful have decided to keep me in their lives. It was my first trip to Oregon since my husband and I separated in the spring of last year and though I was a nervous, emotional wreck in anticipation of it, the entire trip turned out to be a cathartic and healing experience. Also, it was downright fun. Whenever I visit Oregon I’m hit with a tidal wave of memories – some good, some bad, and some so mixed up and twisted together that they can’t be categorized. I spent several years living in Oregon – first in Portland, then Eugene. I think I grew more in those eight years than the first 19 of my life. I moved into my very first apartment in Oregon. I went to college in Oregon. I met my husband in Oregon. And it was in Oregon that I waded through the first two years of grief after my mom was killed by a drunk driver. These experiences pushed, pulled, and sometimes dragged me along the path that led me first to Sicily, then to food blogging, and now here, to Fresno, back to my roots. Twelve hours of driving with no one but a shivering, panting Boston Terrier to talk to left me with lots of time for self reflection. On my drive home I thought a lot about how I ended up with this crazy career as a food blogger. I thought a lot about what motivated me to start writing about food in the first place. I thought a lot about sourdough bread. I know a few of you have been reading my blog for years and maybe one or two of you even remember that sourdough was one of the first things I ever wrote about. But I bet several of you don’t even know about my obsession. That’s because I’ve never written much about the process of making sourdough. I was intimidated by homemade sourdough bread for years before I finally jumped in and tried it, but I’ve been even more intimidated by writing about it. I’ve been sharing my recipes for over five years now, but I’ve never been able to fully share with you one of my biggest passions. That’s about to change. Rather than sit around and try to plan a series of posts about making sourdough bread, I’m just going to jump right in. Tonight I’m going to start the process of creating a new sourdough starter from scratch. I’ll photograph it and write about the first steps and share that with you tomorrow. I’ll then continue to share the process with you, day by day, until it’s complete. It could take four days, it could take longer. I’m trying a new method this time, so it will be a learning process for all of us, myself included. If it doesn’t work on the first try, we’ll start over and try again. I’ll continue documenting the process until we have our first loaf of bread from a brand new sourdough starter. If you want to be able to jump in tomorrow when I share the first post, here’s what you will need: a wide-mouth glass container that holds at least one quart (a wide-mouth mason jar is fine), whole wheat OR whole rye flour, and a couple small cans of pineapple juice. 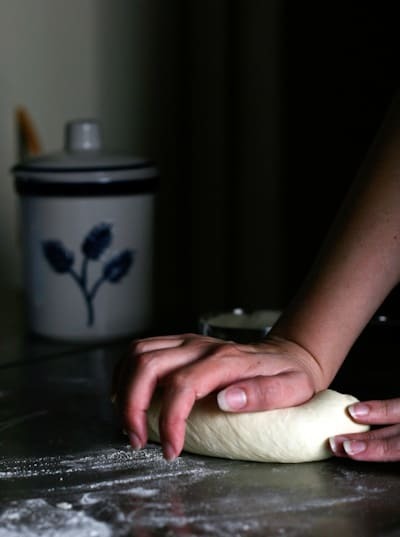 Creating a sourdough starter really isn’t time- or labor-intensive and if you have kids, it could turn into a fun science experiment for the whole family. I’ll be sharing more about my journey to Oregon over the next couple of weeks. There were a lot of food-related adventures that I want to tell you about and I have several Oregon-inspired recipe ideas brewing. I've been hearing about the pineapple starter process and I'm pretty stoked to see it in action. I've been making my starter without the juice and am always up for learning some new bread stuff. The loaves look tremendous! I lived in both Portland and Eugene when I was younger as well, but ended up north (Gig Harbor) instead of south like you. As much as I love baking bread, I have yet to master sourdough, despite several attempts. A trip to the store for pineapple juice is now on my to-do list on the way home from work tonight. Your blog is beautiful, I look forward to following it more closely and thanks for sharing. I remember the sourdough days. I have been following your blog for a long time. I am glad you had a good and cathartic time in Oregon. I did not know about your Mom's unfortunate death. I am sorry. Keep blogging because yours was one of the first blogs I read back in the day. I remember following you in Sicily. Have a good weekend. I love sourdough bread. One of my favorites. You are amazing.I'm glad to see this post, and I'll be looking forward to seeing the whole process.p.s. your bread is fantastic! I've always wondered about sourdough starters. I can't wait to see your posts. I so wish I had known you were in Eugene! Would have loved to sit and have a cuppa~ I am looking forward to trying the sourdough with you as I have not had a lot of success to date with creating a "real" sourdough taste in my breads... and having a hun who loves a soft crust sourdough. I'll be heading out to get my pinapple juice early in the AM.. BTW I spent sometime in a commune in Westlake outside of Florence some 35 years ago and loved it there too. I've never made my own sourdough starter. This is going to be fun! Great post Nicole! I love how your life has worked out so beautifully and how you still hold tight to the special people and the great food that you found along the way.I always tell people when they ask if I would have done things differently (divorced my first husband after 20 years of miserable marriage) that I am who I am because of all of the experiences I have had in my life and I would not change a thing.And for what it is worth... Sourdough ROCKS... I am going to be following this thread. Oh, how fun! I started my starter two weeks ago using the whole wheat/pineapple juice concoction as described by Peter Reinhart. It'll be fun to play along! I too have been following your story for awhile not knowing anything other than your gift for sharing is easy and heartfelt as well as conveys your passion for life and food.I was surprised to find out you are from my home town and love the way you post the bounty of the area. Thanks for this post it is truly lovely!!! I've always wanted to try making sourdough bread from scratch. I'm glad to hear you are posting about it! Lovely post, Nicole! I can't wait to hear more about your life, oregon & the sourdough! Wonderful to see you jump back in the sourdough world! I have a few friends who keep asking me about making the starter from scratch, so I'll send them your link right awayand, of course, I'll stay tuned! Hi Nicole,To tell the truth I am not much of a baker nor am I a big bread guy. But I gotta say that your sourdough bread looks delicious and if you were selling it at a farmers market or something I would buy your homemade bread over any of that store bought junk! I love sourdough bread. It's my absolute favorite. As a kid, my stepfather made a lot of fresh breads. There was always that jar of sourdough starter in the fridge! I wish I had time to read all the comments, a FT and a PT job don't allow much free time, but I am definitely going to be following the series. I have managed to keep a starter alive for over a year that I started with pineapple juice. Some of my SD bread is better then others, but I love the entire process. 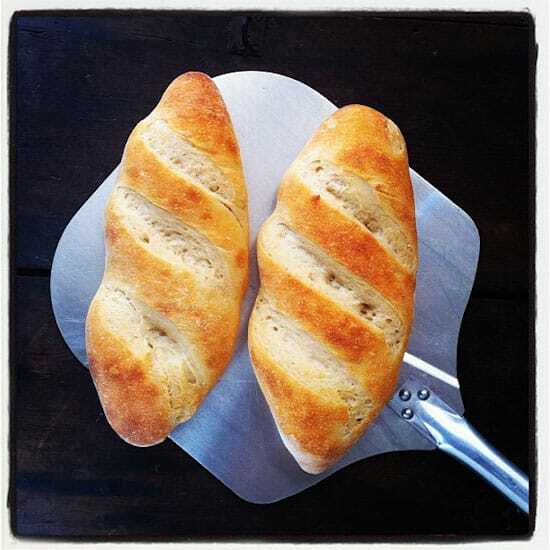 I have 2 SD bread recipes that are almost consistently good, but am always looking for more recipes and advice. Unfortunately, a lot of starter ends up in the compost bin lately as I don't have as much time to cook/bake and don't have any interested parties to share it with. It's nice to hear you had a nice reunion with your ex-husband's family. You can never have too many nice people in your life. Thanks for your food blogs. I'm looking forward to your sourdough project. Good luck. OK ~ I started my starter?? I have questions.... and I wanted to post a pic but don't know how to do it here ~guess I will try the FB connection. I could not find 6 oz cans of Pinapple juice at the local Eugene Albertsons? So I bought this organic bottled pure pinapple juice and my starter is very stiff? I love sourdough bread. I am looking forward to this learning experience. I am so sorry about your mom's death. Keep blogging, I love following your recipes and the photos are so helpful. Malika - I think Facebook will be the easiest way to share photos and communicate. You can post photos directly onto the wall on my Pinch My Salt Facebook page. I can answer questions directly there as well. Thanks! I've started and killed off more starters than I can count. I've heard of the pineapple juice starter and look forward to following along. I've tried to make sourdough starter several times, never successfully. I actually just signed up for a class in making starters today! But I might have to give this a try in the meantime. Sourdough is the holy grail of bread. 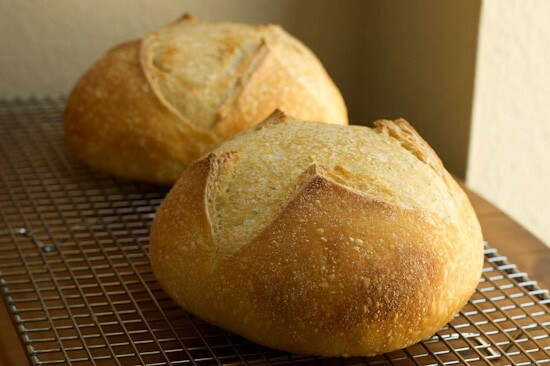 A good sourdough can stick in your memory for years! Glad to hear that your trip to Oregon turned out to be happy and inspiring. Happy to hear your Oregon trip went well and I can't wait to hear about your food experiences up here. Perhaps it's something in the newly Fall air because I'm hearing and reading about sourdough quite a bit. I'm a good original SF sourdough fan myself and had a tricky time finding good ones while living in LA and San Diego. Now being up in Portland for two years I'm happy to have Grand Central Bakery's sourdough. Just bought a loaf yesterday! I've never tried a starter before so can't wait to read about your results. My guy's a classic French baguette kinda guy so perhaps we could have dueling starters!